Canada's public safety minister said Friday that the country won't be deterred by Chinese pressure after China threatened reprisals if Huawei was banned from supplying equipment for 5G networks, highlighting the growing rift between America's neighbor and the emerging superpower. There are accusations that the telecom giant is controlled by China's ruling Communist Party or is required to facilitate Chinese spying. The U.S., Australia, Japan and other governments have imposed curbs on use of its technology. "It's a difficult challenge but we'll not be deterred by what we believe to be right and what we believe to be in the interests of Canada," Goodale said. "One of the things that is of concern in this situation is the blending of Chinese commercial interests with Chinese political positioning and consequences. That's something that I think should be of concern to Canadians and people around the world," Canadian Prime Minister Justin Trudeau said. China detained former Canadian diplomat Michael Kovrig and Canadian entrepreneur Michael Spavor 10 days after Meng's arrest on allegations that they were "engaging in activities that endanger the national security" of China in an apparent attempt to pressure Canada to release her. China also sentenced another Canadian, Robert Schellenberg, to death Monday in a sudden retrial of his drug-smuggling case. John McCallum, Canada's ambassador to China, said the path that China is on is not in their interest. "It's not in the interests of corporate China if when they run into trouble internationally the Chinese government arrests people to use as bargaining chips," McCallum said. "That is the perception of much of the world and that is not good for the reputation of Chinese business people." On Thursday, Lu warned Canadian Foreign Affairs Minister Chrystia Freeland not to use next week's World Economic Forum meeting in Davos, Switzerland, to press for support against China. He also said Canada's arrest of Meng was an act of "backstabbing" by Canada and called it "politically motivated." Freeland has said the detention of two Canadians will be at the top of her agenda in Davos and didn't back down from her position after hearing about the ambassador's remark. Canada maintains Meng's arrest is a matter of rule of law and says it is acting according to its international treaty obligations. Trudeau's office said Trudeau and Merkel talked about China and "agreed on the necessity to safeguard the rules-based international order, including to ensure the confidence of the international business community." "A lot of countries share the concern," Trudeau said earlier. 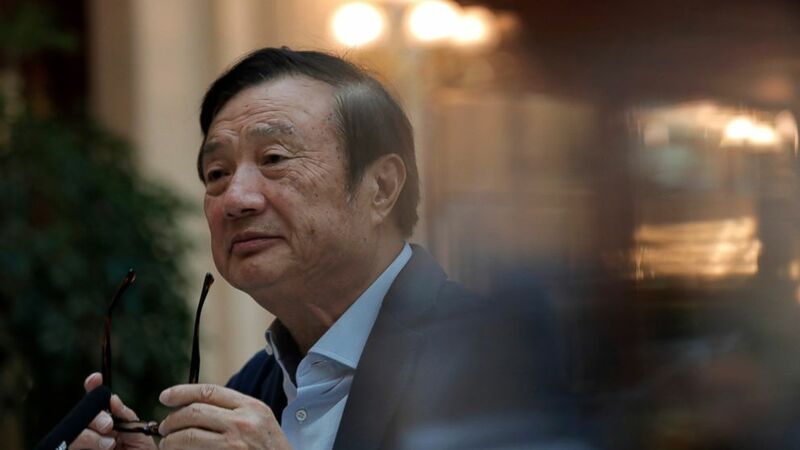 Huawei's image suffered a new blow last week when Polish authorities announced that a Chinese employee was arrested on spying charges. Huawei said it fired the employee and the allegations were unrelated to the company. McCallum said his top priority is to get the detained Canadians home and save the life of the third Canadian. He briefed lawmakers on Parliament Hill on Friday and said he's been talking to Canadian businesses that work in China. He still thinks China will play an important role in Canada's future, noting that the country's tourism industry, farmers and universities are all highly dependent on China. "I think it is best we move forward as much as we can under the circumstances," he said. Canada had previously talked about doing a possible free trade teal with China, but McCallum said that's certainly not an issue Canada is considering now.